More than 50 million individuals will be forcibly displaced from their homes this year. Many will be resettled into other countries or cultures, including the United States. With specific regard to education, a growing sector of ELA instruction now caters to the unique needs of refugee and immigrant students. These “Newcomer” learners, as they are resettled into Westernized regions, require a tailored brand of education. The Newcomer Student is a field guide from the trenches. It is the product of one educational specialist’s experiences, observations, and research in the Newcomer ELA field. It is a tale of personal participation, linking grassroots to modern progressive protocol, a story of cultural exploration, stemming from Louise’s refugee teaching experiences, and an ongoing search to discover interpersonal peace and humanistic continuity. 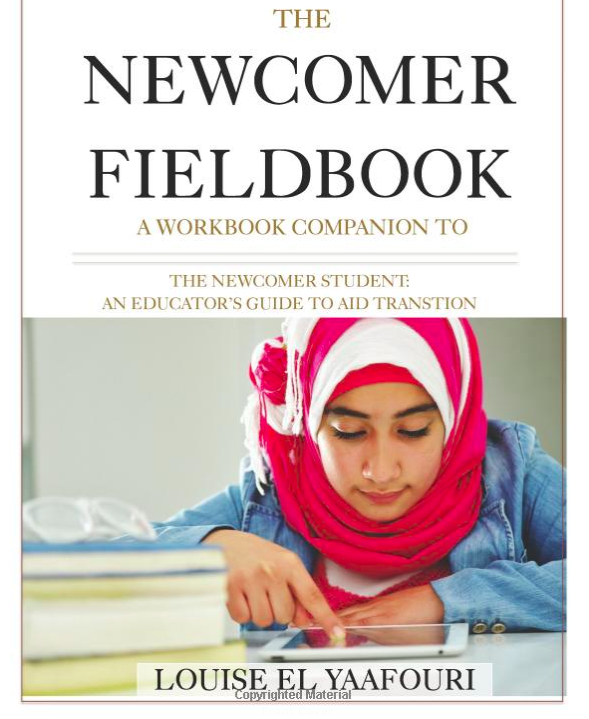 Written by a leading expert in refugee and immigrant ELL education, The Newcomer Fieldbook is an invaluable tool for diverse learning places. It’s an interactive resource guide for ELL program design, Newcomer enrollment, language assessment, guided professional development and ELL parent engagement- all with the singular goal of driving with a goal of driving student success. The Newcomer Fieldbook features reproducible tools, parent forms and write-in workshops that enhance Newcomer teaching and learning. Louise has contributed to a number of professional publications. Explore some of those here!